Now that December is in full swing, long feasts shared by loved ones are top of mind. Treat friends, family and the diminishing water levels by making your next get-together a water-wise one. With these simple water-saving tips from our chefs and gardeners, you’ll spend more time savouring the season and less time cooking and decorating. Ask each guest to bring their favourite fruit or vegetables and lay it out on the table as the centrepiece. Make a large bowl of salsa verde for dipping. Watch how to make it in the video below. Tear pieces of fresh bread to mop up a few glugs of Babylonstoren Olive Oil sprinkled over with warmly aromatic dukkah spice. Include a good selection of charcuterie, local biltong and olives for a salty hit. A variety of cheese such as Babylonstoren Fior di Latte, ricotta and homemade ‘hang op’ yoghurt cheese make a creamy addition to the table. For a sweet ending, whip up one of the simple Babylonstoren Lekker Panettone combinations. Take your feast outside with a delicious array of finger foods (see menu above) and serve napkins instead of plates with minimal cutlery, leaving very little to wash up. Use one glass per person for all drinks. Use a damp cloth to wipe crockery and cutlery and another clean cloth soaked in a little water with a squeeze of lemon for everyone to wipe their hands. If you have succulents in your garden, provide the pots and let each guest plant their small succulent to mark their spot on the table. At the end of the meal, give these as gifts to take home. 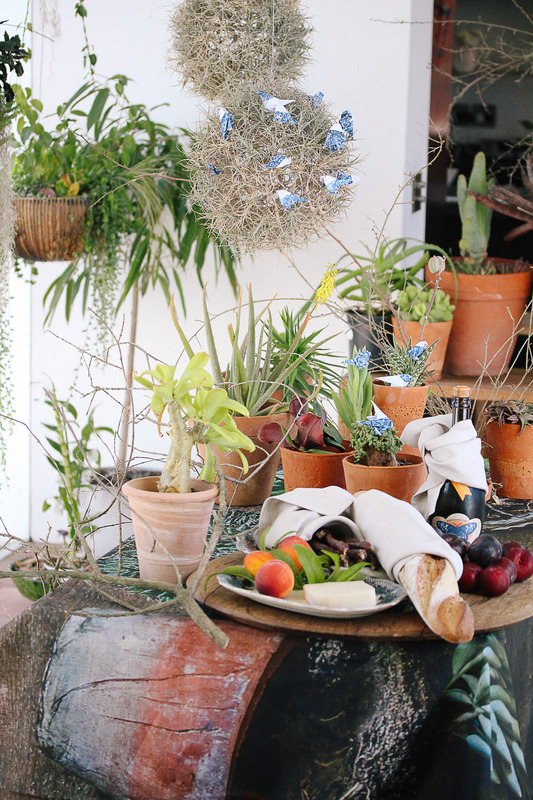 Use the Babylonstoren Garden App for ideas on which succulents to choose. Collect dry twigs to use for wreaths, placeholders or hanging decorations. Provide paper and encourage guests to fold an origami decoration. Use the origami decorations on the table, in the floral arrangements or wear as a brooch. Lovely creative ideas . I don’t know how one can improve on your ideas. The ???? turky trad must really go. I heard family friends from Gauteng coming down to Western Cape r bringing down their own bed linen towels and taking them back home to wash. Happy Christmas and thanks for all the news letters in 2017.. So many first class tips. thank you. Absolutely super ideas, recipes and tips for gifts. Babylonstoren is simply the best! Thank you Esther 🙂 We hope you visit again soon.